Save money and time booking your transportation online in advance, there is no need to pay overcharges or extra fees! 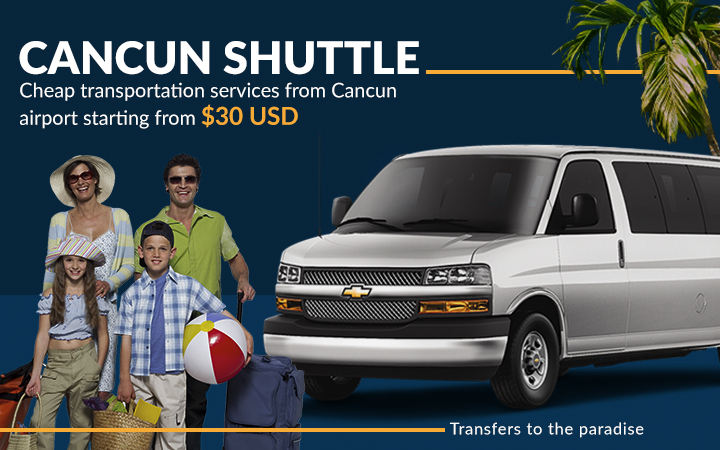 Welcome to Cancun Shuttle, low-cost Cancun Airport transportation! 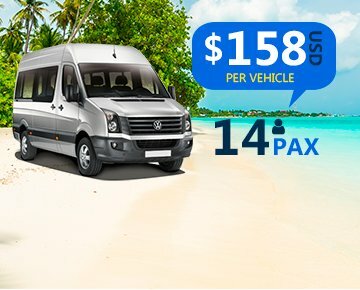 Welcome to Cancun Shuttle, the cheapest transportation service in Cancun. We are fully compromised with our clients, with more than thirty years of experience in Cancun Transportation to any destination in the Riviera Maya. We offer the best service of Cancun Airport Shuttle and Private Transfers at the best prices, choosing limousines for your Cancun Airport Transfer with our luxurious chauffeured service. This is a great way to discover Cancun and Riviera Maya and enjoy your transfers to your destination. Once you have gone through the airports custom check, your chauffeur will welcome you personally, will assist you with your luggage and will drive you to your destination, in the best and safest way. We have the best prices online and the best private transportation services in Cancun, including transportation from/to the Cancun International Airport. Your time is too important to risk it with other transportation companies. Leave it in our hands, we assure you that with us, you will always be on time. Our representatives are bilingual and specially trained to provide you a great service and make you feel secure. We know how important it is to assist you through your visit, that is why our customer service team can guide you and give recommendations according to your needs. We are fully comprised with our clients, always seeking to be the best transportation company in Cancun. We have a large vehicle fleet, conformed by Luxury Suburban, Express Van, VW Transport and limousines of recent models. 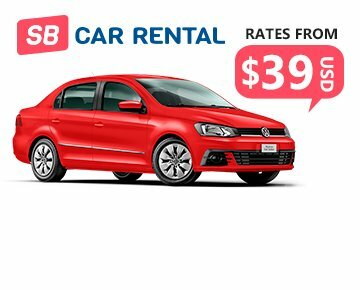 We offer the lowest prices and a great service on rental cars in Cancun Airport. We have an exclusive team, dedicated to help, guide, manage, and plan your group trip or wedding. Booking with us is really easy and convenient. It only takes few minutes; we assure it will be the best transportation service from the Cancun airport to Cancun and Riviera Maya. If you need a personalized transportation service, and can't find it on our website, please contact us by our Contact Form or call us at: +52 (998) 295 06 18 or by our online chat and one of our travel agents will assist you and will answer all you questions about our transfers services. Copyright 2019 - Cancun Shuttle. All Right Reserved.